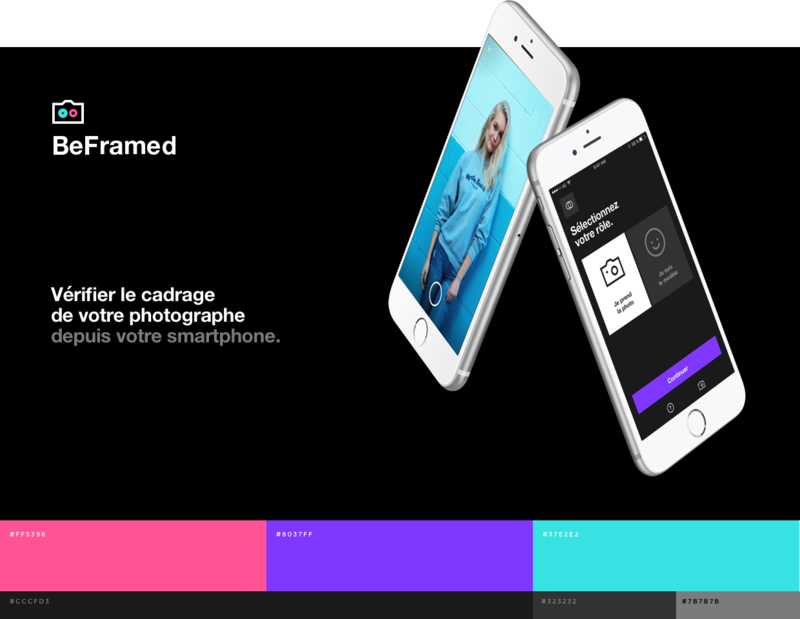 With Beframed, we designed and developed a mobile application that allows two phones to be connected in real time to guarantee a perfect framing. Take a perfect shot with your friend in just a few steps. The connection between phones has been designed to create a seamless experience. Sleek screen design guides the user through four simple steps to ensure the perfect shot is taken. Compatibility between IOS and Android. In order to ensure the app was usable with both systems, it was essential to enable cross-platform communication. With this goal in mind, we used WebRTC technology to create a live video stream between any type of smartphone.